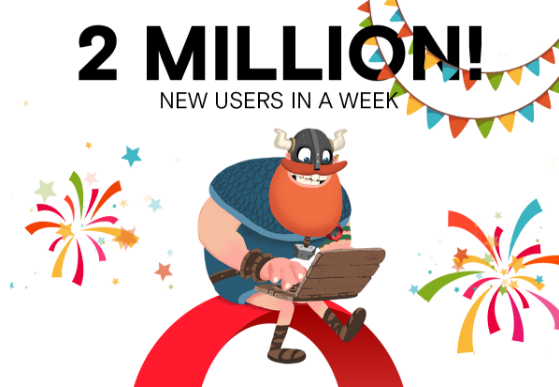 A year ago, we released the very first version of our desktop browser with native ad blocking. We did it to double the browsing speed and challenge the online ad industry, pushing the idea that there should be a switch towards more user-friendly ads. Since then, more people than ever have started to block ads all around the world. Now it’s time to review what else has changed since then. A few months after we released native ad blocking in Opera, the Interactive Advertising Bureau (IAB) set new standards for light, non-intrusive online ad formats based on its LEAN principles. It was definitely a step in the right direction, but whether it’s widely implemented by the ad industry in the future is the next question. Right now, we are concerned that the switch towards lighter ads is moving too slow, causing the demand for ad blocking to continue to increase. 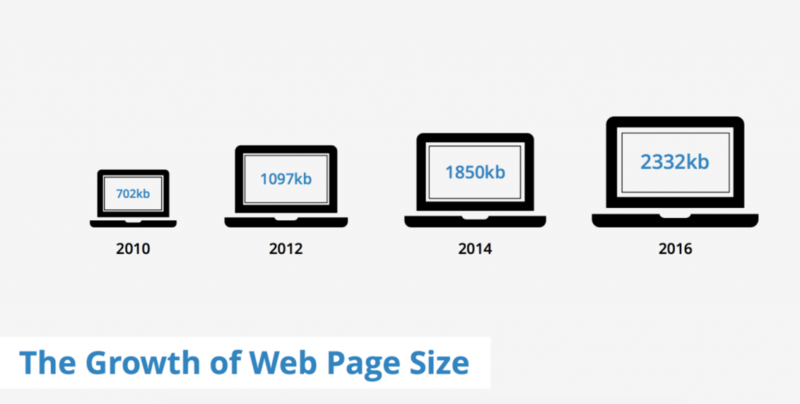 At the same time, the size of the average website is still growing. One reason for this growth is because of online ads gobbling up more bandwidth than ever, causing webpages to load more slowly. For publishers and e-commerce sites, an increase in loading time leads directly to a decrease in revenue. Privacy and tracking of online behavior are other growing concerns, leading people to be more conscious about using an ad blocker. However, the number of trackers online hasn’t decreased over last year, and it’s still a central component for ad networks to gather your information and profile you across websites. Taking these concerns into account, it’s no wonder that more and more people are starting to block online ads. According to a PageFair report, 236 million people were using desktop ad block software in December 2016, and we can see that among mobile users the growth has been even more dramatic. 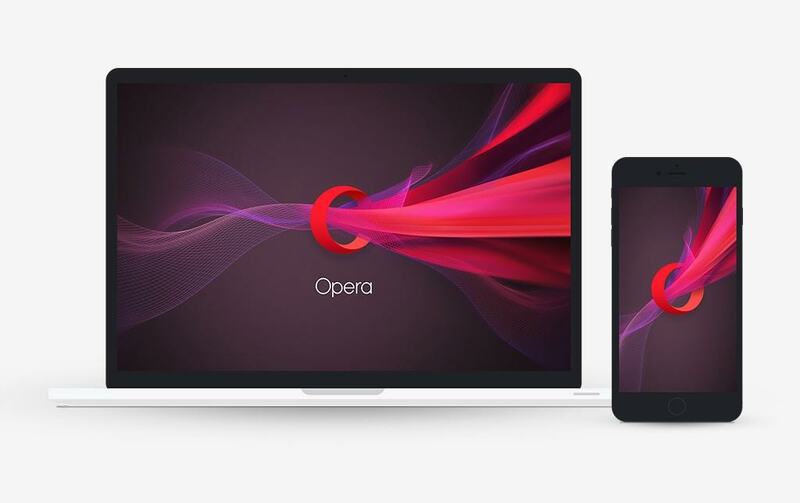 Since releasing Opera’s ad blocking feature a year ago, although we observed a growing number of Opera users blocking ads right from the browser, only one-third of all Opera desktop users are making use of the feature. This is because the ad blocking feature is currently activated through a setting inside the browser preferences, rather than switched on by default. We can also see that the usage of native ad blocking varies across countries. 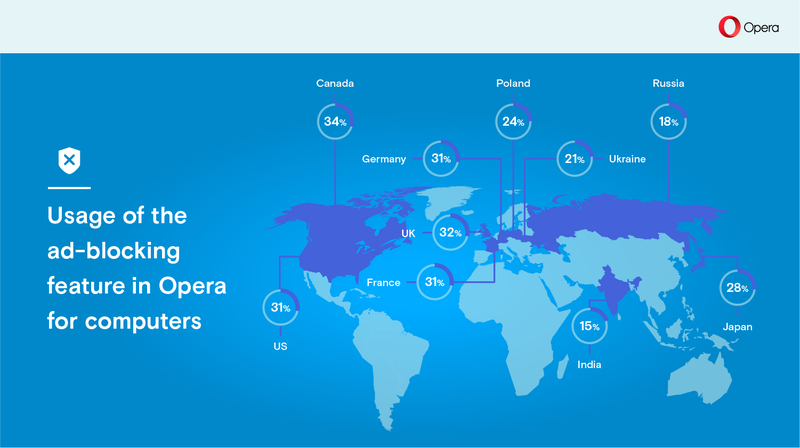 The biggest percentage of Opera users that use this feature can be found in Canada, followed by the UK, US, France, and Germany. 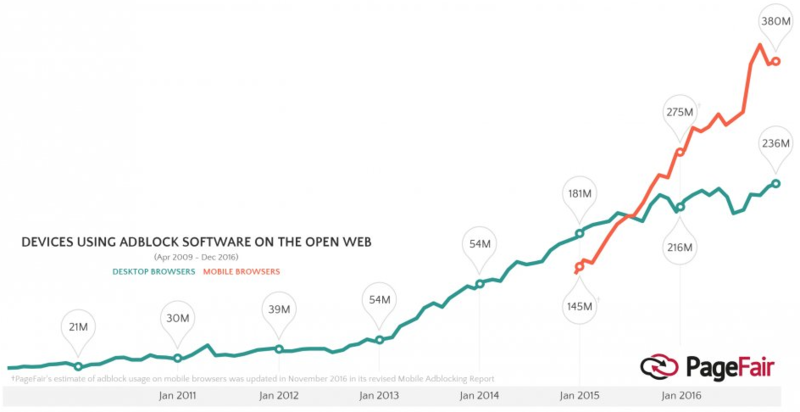 Following the demand for ad-free browsing, we saw a growing number of ad block extensions. However, they are simply not fast enough. Our research* shows that browsing with Opera’s ad blocking feature is on average 50% faster compared to browsing on Google Chrome with the AdBlock Plus extension. In addition to page loading, we decided to look at the startup time for browsers and whether ad blockers actually slow you down rather than speed you up. A cold start is when the browser is opened for the first time after an operating system reboot, while a warm start is when the browser has been restarted. You will find the complete methodology of this test at the end of this blog post. We were surprised to see the big difference in the results when comparing Opera with native ad blocker to the other browsers with the extensions enabled. Looking, for example, at warm startup times, Opera with native ad blocker is 87% faster than Microsoft Edge and 143% faster than Mozilla Firefox. It also performs better on a cold start when compared to competitors. Opera’s ad blocking feature, unlike ad block extensions, also gives you a great looking tool to check your speed improvement per web page. 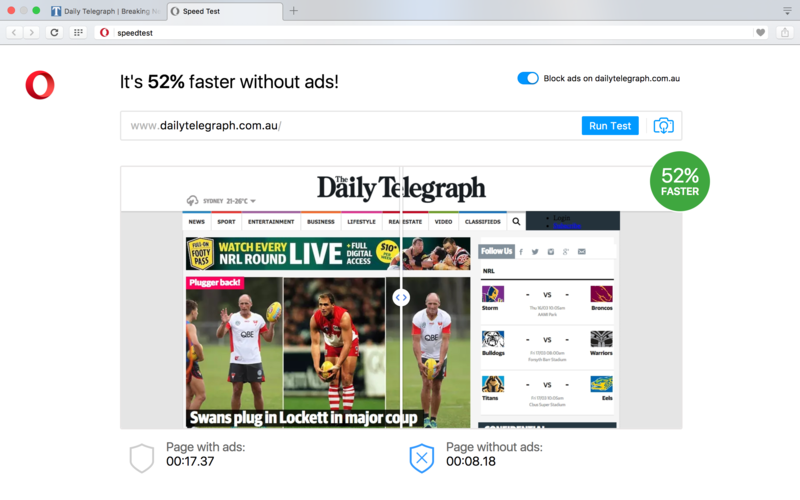 To compare a web page’s load speed with and without ad blocking, click the shield icon and then the “speed test” link at the bottom of pop up. While talking to our users we can hear the negative effect online ads are having on them, even louder and clearer than last year. A shift towards less intrusive and privacy-friendly online ad practices is more urgent in 2017 than it was a year ago. Brands and advertisers need to finally understand this. We are taking the user’s side in the debate about ad blockers, which is why we will offer built-in, native ad blockers to our hundreds of millions of users. And we’ll do it until the problem is solved. The change must happen. We all deserve a better, faster web. We conducted our tests on the 9 most popular websites worldwide (according to SimilarWeb). For each browser we repeated the tests 10 times. Our internal tests were performed on a machine running Windows 10 x64 using an i7-6500U CPU and 8 GB RAM. A cold start is the time a browser needs to fully load while starting it for the first time after a system reboot. 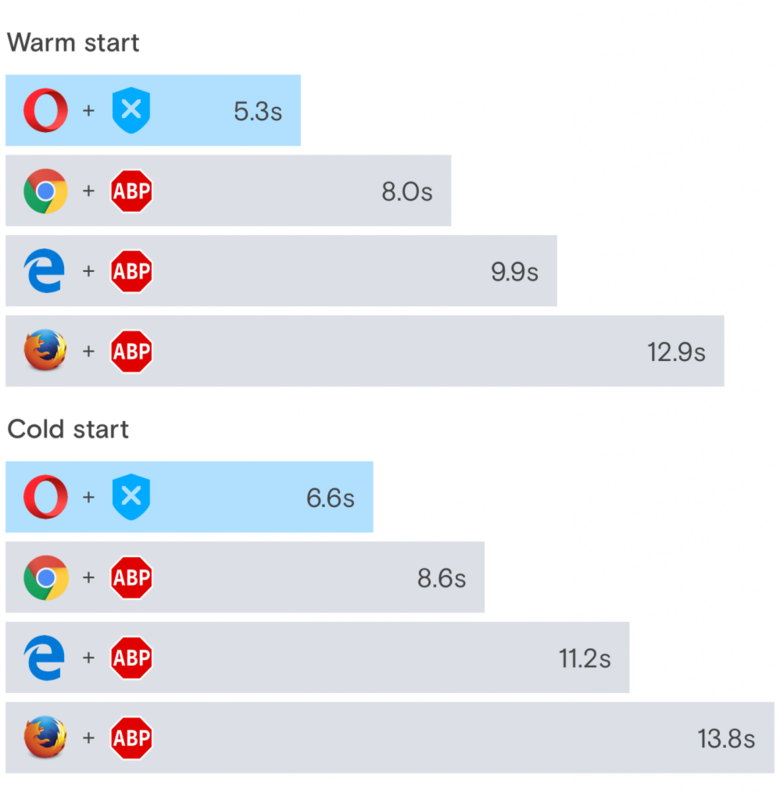 A warm start occurs when we start our browser for the (at least) second time.